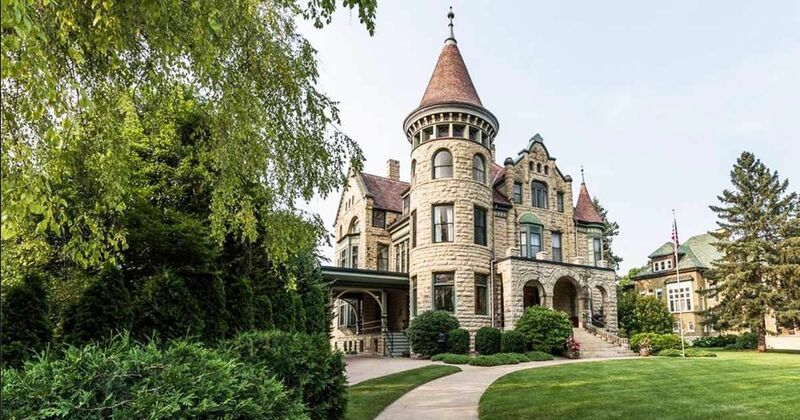 Built in 1892 by a wealthy lumber baron with discerning tastes, the three-and-a-half-story Nymphus B. Holway House (also known as the Castle on Cass) is a magnificent example of Richardsonian Romanesque architecture. Although originally designed in the Queen Anne style, the home ended up being covered in stone facing shortly after being built. 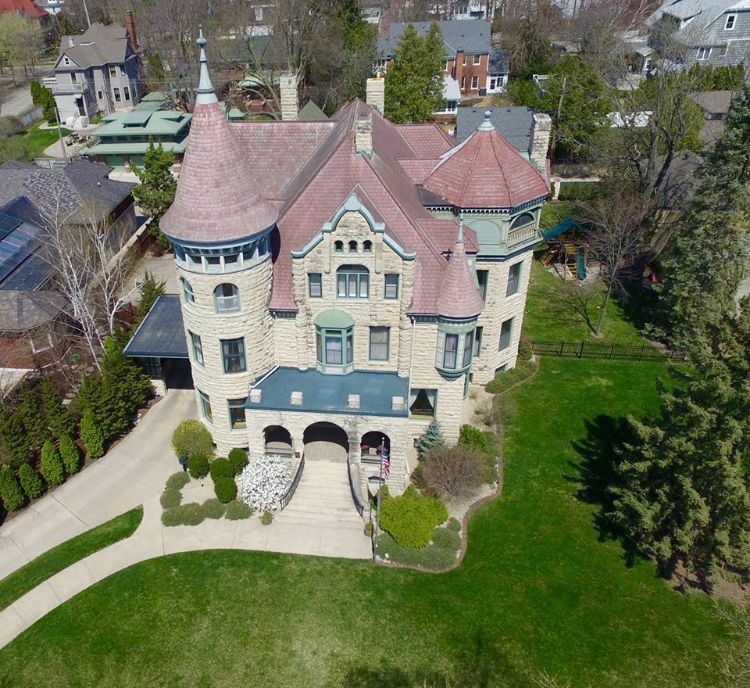 Highlights of the house include a round three-story tower, a wooden turret, and an elegant porte-cochere on the west side of the home. 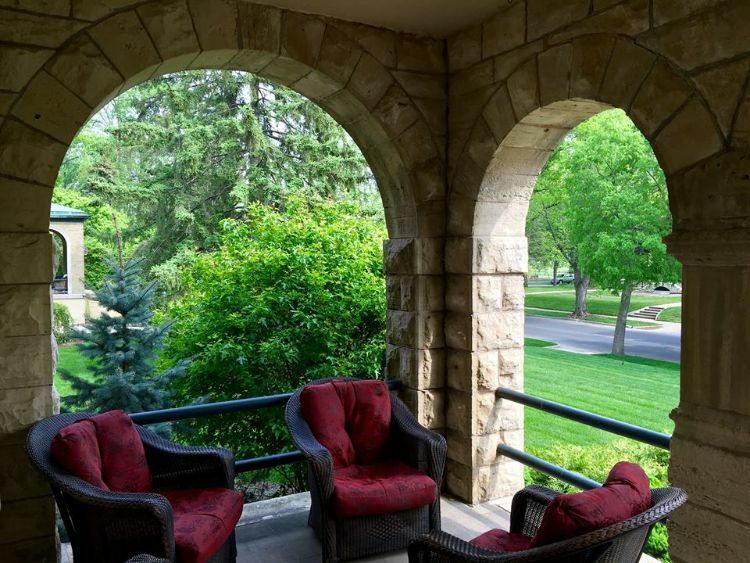 Outside on the front deck, comfortable chairs invite you to sit down, relax, and enjoy lovely views of the beautifully manicured lawns. Round-arched openings make the experience all the more elegant. 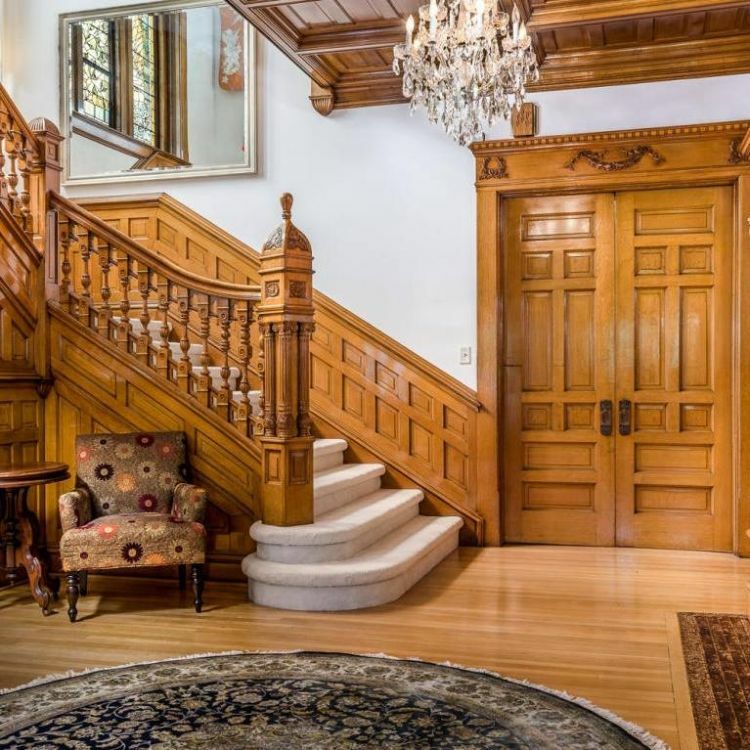 The stately foyer greets visitors to the home with an elegant, sweeping staircase and a beautiful chandelier. The stairs and the doors are decorated with the original, intricate woodwork, which has been kept in excellent condition. 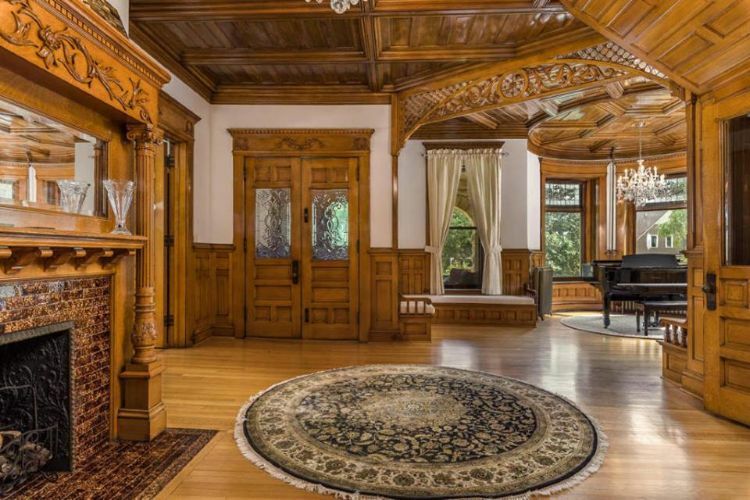 This room boasts even more of the beautiful woodwork, in addition to a gorgeous fireplace and an eye-catching centerpiece rug. The first floor of the tower is taken up by this lovely grand piano and another gorgeous chandelier. 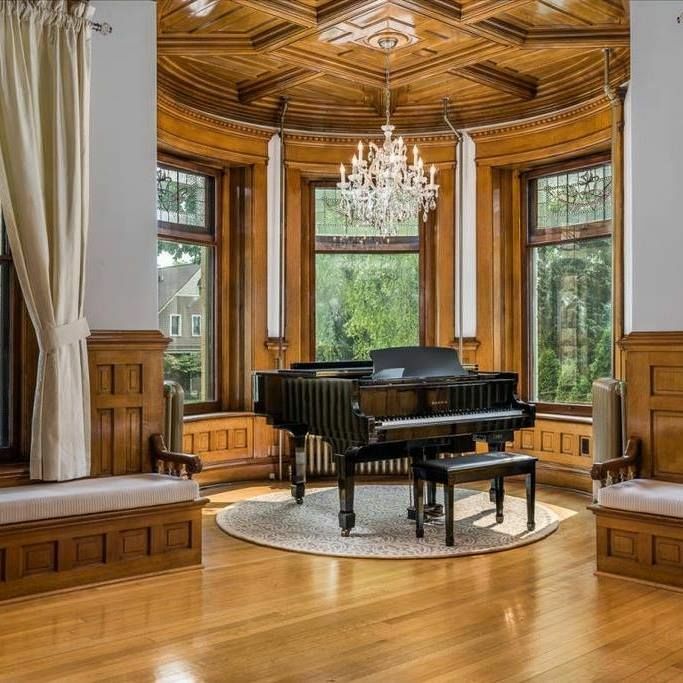 With the detailed ceiling and the beautiful hardwood floors, this room must have seen more than its fair share of elegant soirees over the years! 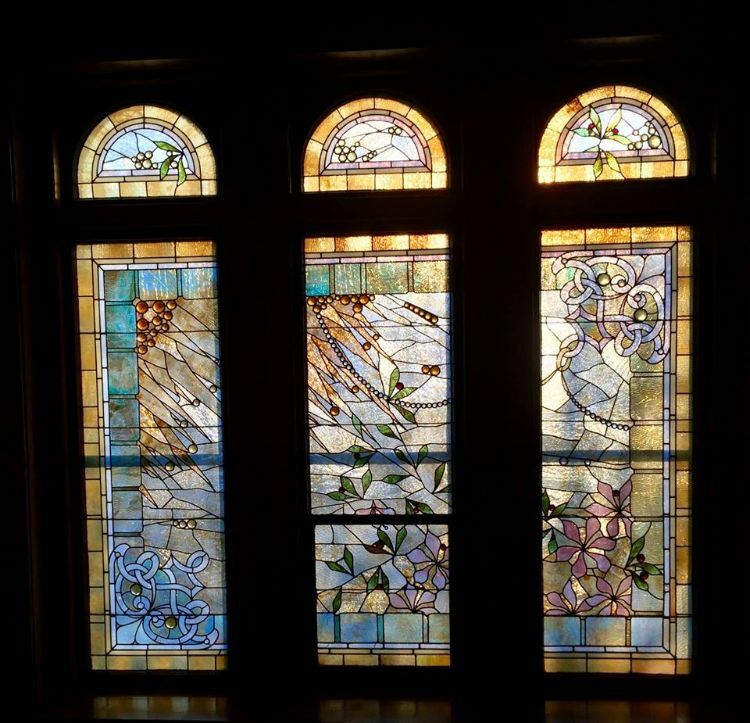 Here's a sampling of some of the 29 spectacular stained glass windows in the house. It looks more like something you'd expect to find in a church than in a residential home, but it makes for an incredibly beautiful scene when the sun shines through the window. The kitchen has been restored and updated, but it maintains all of its original Victorian charms. 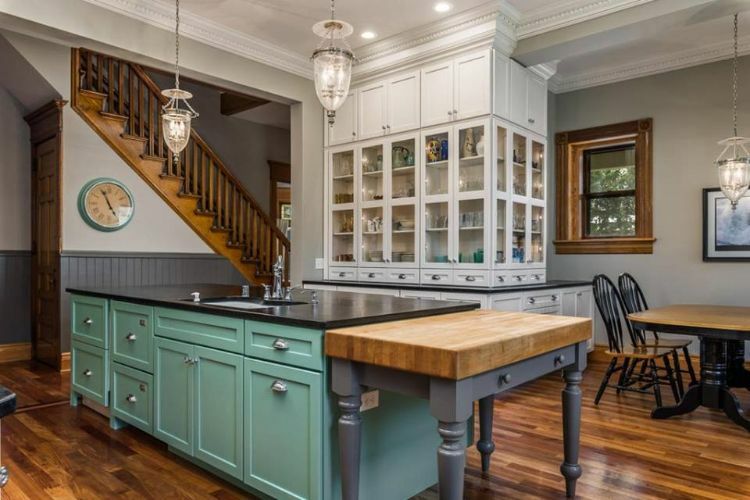 The kitchen island provides more workspace than is often found in older homes, and the gorgeous custom cabinets give the room an extra-special touch. With yet another chandelier and even more stained glass windows, the dining room is one of the most spectacular parts of the house. A vaulted ceiling makes the space feel open and airy. 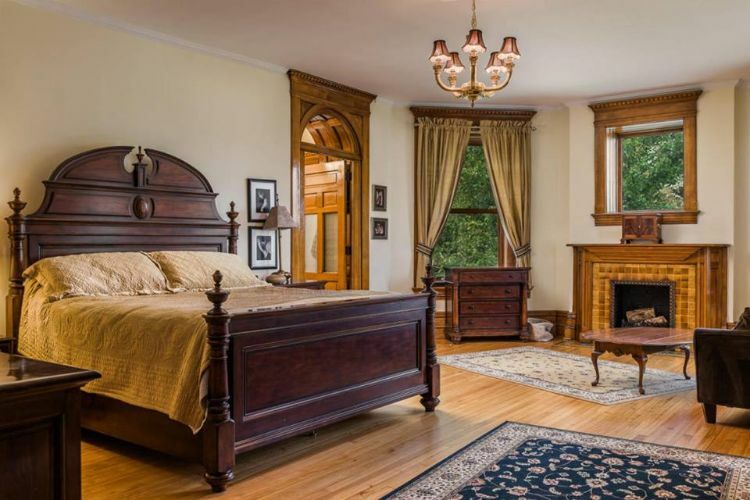 Here we have one of the home's eight bedrooms. Notice the window right above the fireplace; this uncommon chimney design was very complex for its time. This home actually has two of them - a testament to the love and care with which it was built! 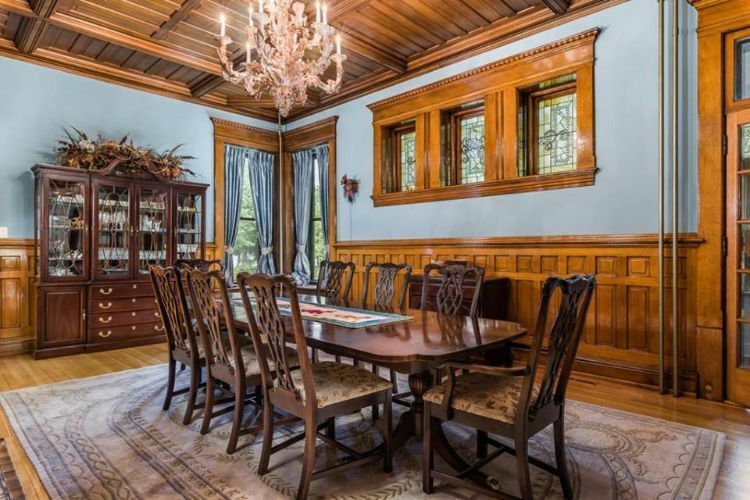 Did this gorgeous old home knock your socks off? Let us know in the comments, and be sure to share this article if you loved it!